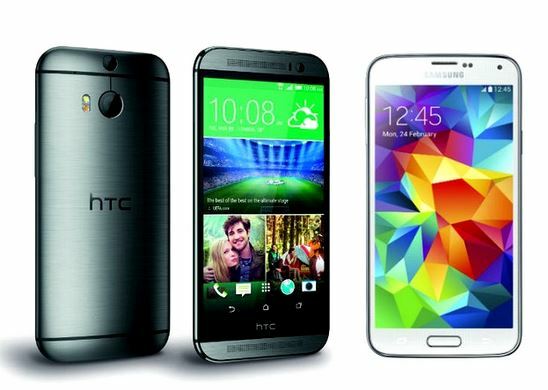 HTC One M8 and Samsung Galaxy S5 – the two premium Android flagship smartphones – are out in the business this year. The two devices that would be most talked about through out 2014, apart from Apple’s iPhone and Sony’s Xperia Z2, pack quite a few good hardware and software specs. If you intend to upgrade your smartphone this year and intend to know more about these two flagship Android smartphones, here is a Samsung Galaxy S5 vs HTC One M8 comparative post. Samsung Galaxy S5 sports a 5.1 inch display with an increase of 0.1 inch from last year’s Galaxy S4. On the other hand, HTC has gone a little more by adding 0.3 inches to the past year’s HTC One; the HTC One M8 sports a 5.0 inch display. Both the flagships are keeping the last year’s display screens with Galaxy S5 carrying an AMOLED and HTC One the LCD. Both the smartphones still have the same Full HD resolution of 1920 x 1080 and haven’t upped their game in terms of a better display resolution. While it would be largely unnoticeable, HTC One M8 has a better ppi because of a tiny bit smaller screen with 441 ppi; the Samsung Galaxy S5 comes in at 432 pixel density. Samsung Galaxy S5 sports the Snapdragon 801 CPU clocking at 1.5GHz speed. The HTC One M8 is using a Qualcomm chip with a clock speed of 2.3GHz and 2.5 GHz. 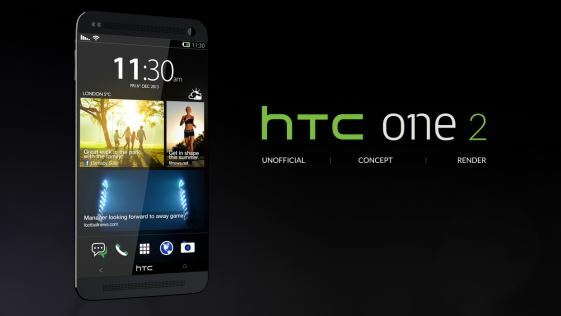 In most regions, HTC will introduce HTC One M8 with a clock speed of 2.3 GHz with a difference of 200MHz with the Galaxy S5 CPU. However, the difference would not be noticeable in any apps. On the specs’s list, Samsung Galaxy S5 will look faster to you in many regions; however, you won’t feel the different in real world applications. The factor that would matter more would be OS software requirements. If you are conscious about your smartphone’s size and weight, both these flagships have more or less similar physical specs. HTC One M8 comes with 146.36 x 70.6 x 9.35 mm and weighs 160 grams; Samsung Galaxy S5’s size is 142 x 72.5 x 8.1 mm and it weighs 145 grams. The Samsung Galaxy S5 is 1mm thinner than the HTC One M8 hence it’s a tad bit lighter too. The biggest focus this year has not been the display size, the processor, or anything else as it has been on the camera. The Samsung Galaxy S5 will sport Samsung’s new 16 megapixel ISOCELL camera; HTC One M8 will come with a 4 UltraPixel from the older M7 but with a new duo-camera feature with a dual LED flash. Samsung’s new ISOCELL image sensor technology will give crisp images with higher pixel count. While Samsung’s pixels are a plenty, HTC is sticking to its flagship ultra pixel design that made the older HTC One popular within smartphone photography community. Samsung has also employed a new depth of field concept named Selective Focus which will give photographers to add depth to the images. HTC has added new duo camera design to allow multi-focus image capturing capability. Both the cameras from Samsung and HTC will also feature image stabilization and the usual ISO options. HTC One M8 seems to be better at low light photography; whereas Samsung Galaxy S5 may prove to be better at digital zoom considering its pixel density. Galaxy S5 will lead the game at video capturing as HTC One’s 4MP won’t be dense enough to capture 4k footage which requires at least 8.3 megapixels. Both the devices can shoot slow motion HD video. Front facing camera is better at HTC One M8 as HTC has added a 5 megapixel 88 degree wide-angled camera; Galaxy S5 is the older 2MP camera with nothing to talk home about. Samsung’s TouchWiz and HTC’s Sense are both based on the latest Android 4.4 KitKat. HTC Sense 6.0 keeps up with the former software with a focus on Blinkfeed with a few little tweaks. The software has been integrated with FitBit fitness tracking and Foursquare peer recommendations to have a health and social focus. Similarly, Samsung has also kept Touchwiz similar to the S4’s with a couple of tweaks in the UI. Sense 6.0 is packed with Gallery app, TV infrared sensor control, Motion Launch gesture controls, etc. Samsung’s main focus in the software with Galaxy S5 is on the fitness and health tracking, coupled with Knox Security to protect data, Air Gesture features, news and social media aggregation service, and My Magazine services. The both Android flagship smartphones evidently share quite a few hardware and software attributes. They both are being offered with similar data choices and also have a MicroSD card slot too. The technologies that would set apart these two devices might be the Samsung’s fingerprint sensor which will allow users to make secure payments. Samsung’s Galaxy S5 also has a water resistance capability. While HTC One M8 does not have these two, it surely has its own BoomSound dual front facing speaker setup which will attract audio lovers. HTC One M8 also has the duo-camera configuration which will keep the photographers’ loyalty with HTC this year too. At the end of the day, it really depends on the features that you look forward too. Are you looking for more security or are you in to audio and photography? It will also come down to how these both devices feel in the hands. If you like the hold, weight and texture, and have decided on what you are looking for, it would easy for you to pick this year’s Android smartphone.